campaign at North Yarmouth Academy. 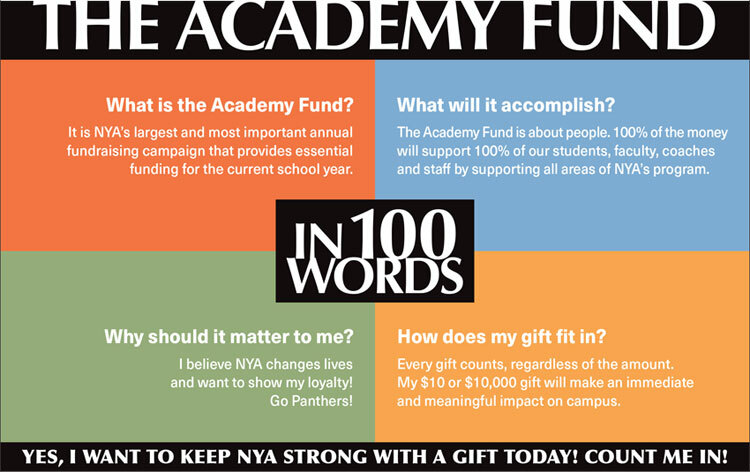 The NYA annual fund, known as the Academy Fund, provides vital support each year for current operations: academic programs, teachers, financial aid, student life, athletics, the arts and more. The goal for this year’s Academy Fund is to raise $500,000. Your gift, at any level, is a vote of confidence in NYA. Every gift made to the Academy Fund matters — every gift counts. Questions: Contact Jennifer Richard, Director of Development, at jrichard@nya.org. 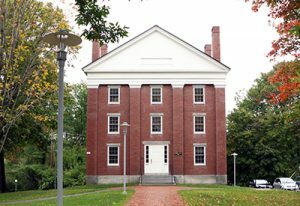 People: Funds go directly to faculty professional development, faculty salaries and benefits, financial aid for students. 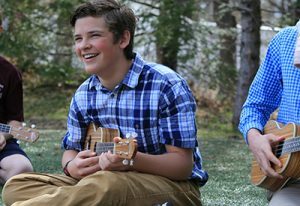 Programs: Funds support programs including visual and performing arts, athletics, academic programs, and experiential learning. Facilities and Resources: Funds support the upkeep and deferred maintenance of facilities. Funds also support the acquisition of technology and additional resources. 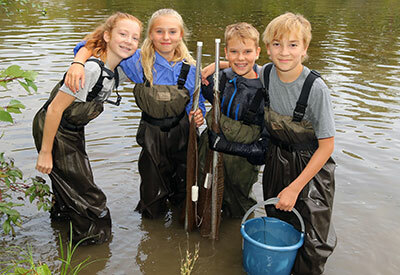 In addition to The Academy Fund and fundraising events, NYA conducts periodic capital campaigns to fund major school initiatives. The success of the most recent campaign enabled NYA to fund the construction of the Lower School. If you would like to learn more about future projects, planned gifts, grants, or additional ways to support NYA, please don’t hesitate to contact us.